The Wannaburger site has been launched. With it’s stripped back, pared down approach, it’s a sleeker, simpler version of its former self; very much in keeping with the business’s rebrand and refurb. 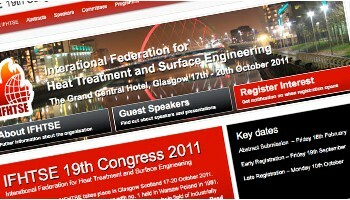 The International Federation for Heat Treatment and Surface Engineering 2011 conference website is live! Another successful site by Crush in our portfolio for events organisers, In Conference.